No, it's a punch bowl! No, it's an hors d'oerve platter! No, it's a salad bowl! 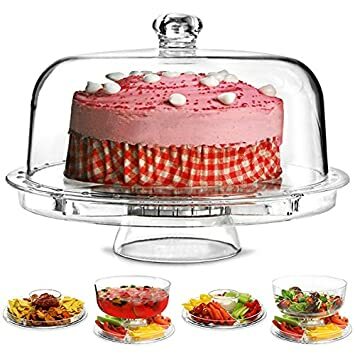 No, it's a cake stand! No, it's a cookie plate! Wait! It's all of the above!!!! The fun thing is you can choose what it is. 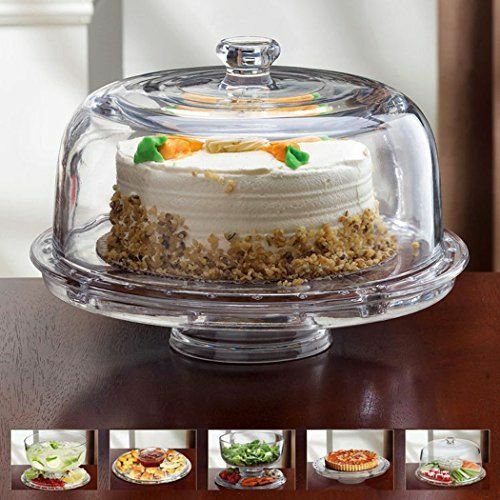 You will be amazed how many ways you can put this beautiful cake stand to use. 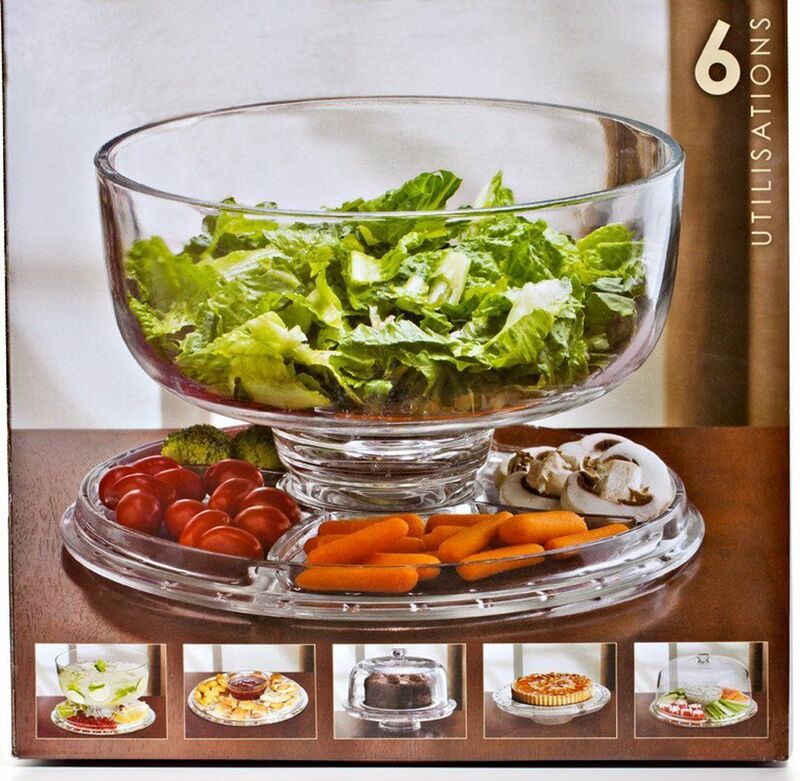 6 in 1 cake plate serves as a punch bowl and serving base, salad bowl or condiment dish.